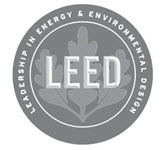 LEED, standing for Leadership in Energy and Environmental Design, is a sophisticated rating system ran by the USGBC that measures a building’s efficiency. LEED Green Associates understand the basics of building operations and are knowledgeable in strategies to promote sustainability. Attaining the LEED Green Associate certification is the first step towards becoming a LEED Accredited Professional. The understanding of a LEED Accredited Professional goes beyond the basics of building systems to hone in on a particular field of expertise. The LEED AP Operations and Maintenance designation implies an advanced knowledge of resource efficiency, building operations, and sustainable strategies. Similar to Building Design and Construction, the LEED AP Homes designation is awarded to individuals who are familiar with residential design and building processes and understand methods to reduce energy and waste involved with neighborhood construction. LEED Building Design and Construction includes a further specialization, the LEED for New Construction. This rating system applies to all new buildings so they are built in accordance to strict environmentally friendly and occupant safe guidelines. The LEED AP NC credential grants the individual a wide breadth of environmentally responsible construction techniques, such as increased waste diversion. 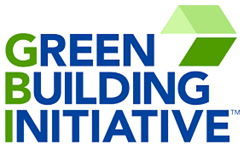 The Green Building Initiative (GBI) is a 501(c)3 nonprofit designed to inspire sustainability in the building construction field. This organization is responsible for the facilitation of the Green Globes building rating program. In order to be eligible for certification, a Green Globes Professional (GGP) must have several years of experience in building design, operations, energy efficiency, and sustainability. A GGP provides insight and guides teams through the Green Globes building rating program. 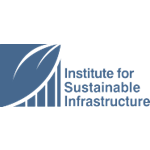 The Institute for Sustainable infrastructure is a nonprofit organization, chartered to help communities build a more sustainable infrastructure. It developed and now maintains Envision, a rating system for the sustainability of civil infrastructure. The ISI offers a training program and exam leading to ENV SP accreditation. Professionals achieving this designation use Envision system metrics to evaluate infrastructure sustainability. This guides project decisions that consider environmental impact while evaluating materials and processes throughout the project lifecycle. The Envision system also facilitates stakeholder discussions focused on resource stewardship. 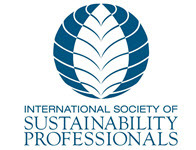 The International Society of Sustainability Professionals (ISSP) was founded in 2007 based on the desire connect sustainability leaders around the world. The ISSP Sustainability Professional Certificate evaluates an individual on the core competencies of sustainability, which signifies a superior knowledge base of sustainable techniques and strategies. The International Facility Management Association was founded in 1980 and is the largest and most known facility management association in the world. The goal of this organization is to enhance facility management practices globally. Facility Managers from 32 countries have achieved the Certified Facility Manager credential. It is the industry standard for knowledge and competency. The certification process assesses work experience and education, followed by a comprehensive exam on the facility management body of knowledge. Becoming a Sustainability Facility Professional (SFP) comes with a knowledge base consisting of operational efficiency, productivity, and sustainability. SFPs are able to incorporate sustainable, planet-conscious strategies into facilities by leading and guiding teams of other dedicated professionals. The Project Management is an organization committed to management professionalism. The Project Management Professional (PMP) certification is a highly valued credential. PMPs have the superior skill base to lead projects of any size towards success. Time, human resources, quality, and many other management skills are within the expertise of a PMP. The American Board of Industrial Hygiene is responsible for certifying industrial hygienists. This not-for-profit organization strives to provide education on environmental health and safety. A Certified Industrial Hygienist (CIH) is a rather exclusive credential. It requires years of experience with industrial systems in addition to a strong higher education in science. By understanding how industrial systems work, a CIH manages toxicology, indoor environmental quality, as well as oversees the occupation safety of mechanical personnel. 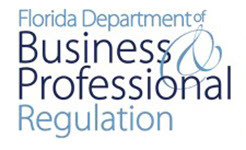 The Florida Department of Business and Professional Regulation is responsible for licensing and regulating mold assessors and mold remediators. A Mold Assessor is able accurately utilize technology to discover areas of moisture and water intrusion. This credential, recognized by the state of Florida, acknowledges the experience and knowledge needed in a Mold Assessor. Through the Florida Stormwater, Erosion, and Sedimentation Control Inspector Qualification Certificate Course, The Florida Department of Environmental Protection offers training on employing Best Management Practices to minimize impacts of erosion and sedimentation and surface water contamination on the construction site. The Stormwater, Erosion, and Sedimentation Control Inspector minimizes the impacts from solids (TSS), turbidity (NTUs), and nutrients (i.e., nitrogen and phosphorus) and other surface water contaminates, using innovative techniques and specifically designed erosion control systems. 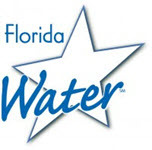 Florida Water Star is a water conservation program that educates people on how to use water responsibly and efficiently. This special accreditation was originally designed for landscape and irrigation personnel. Florida Water APs understand how to use water responsibly for landscaping for both residential and commercial purposes.